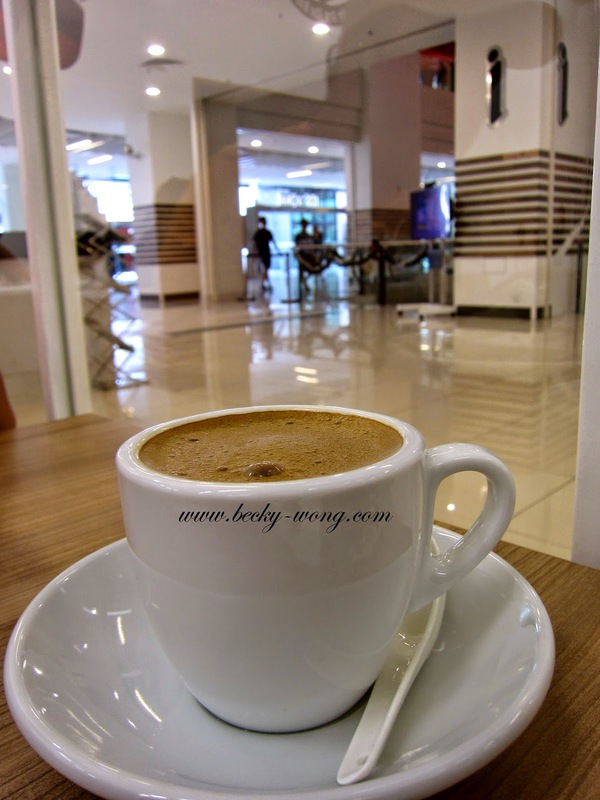 When people found out that my office is in Jaya One, I'll always get the same respond - "So nice! They have so many eateries there!" 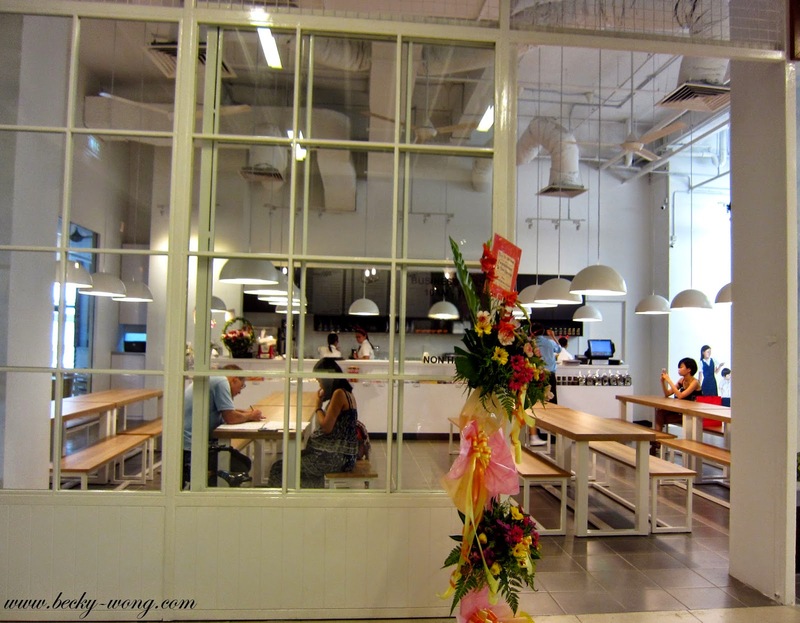 They are an Asian-fusion restaurant that serves variety of pork dishes, ranging from Nasi Lemak with Grill Pork Chop to Pork Ribs. 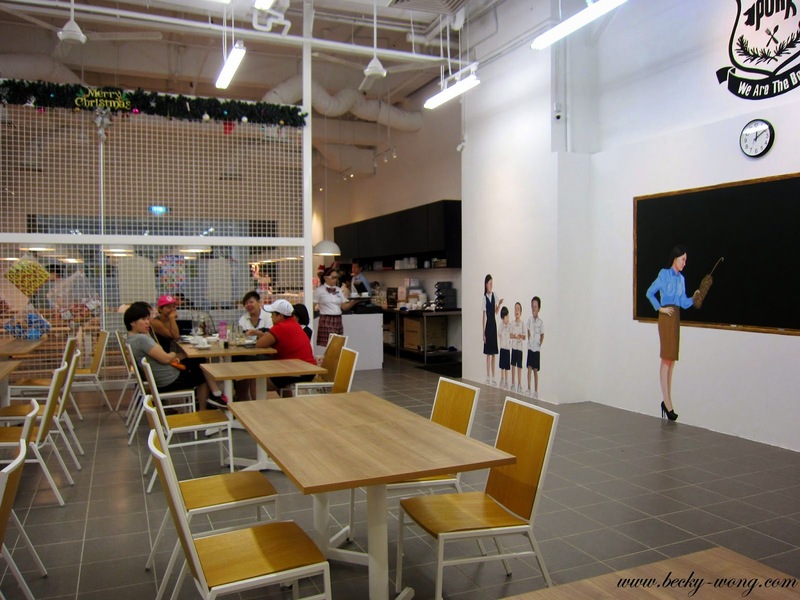 The place is really spacious and bright; they have 2 dining area for you to choose from - The Classroom or The Canteen. 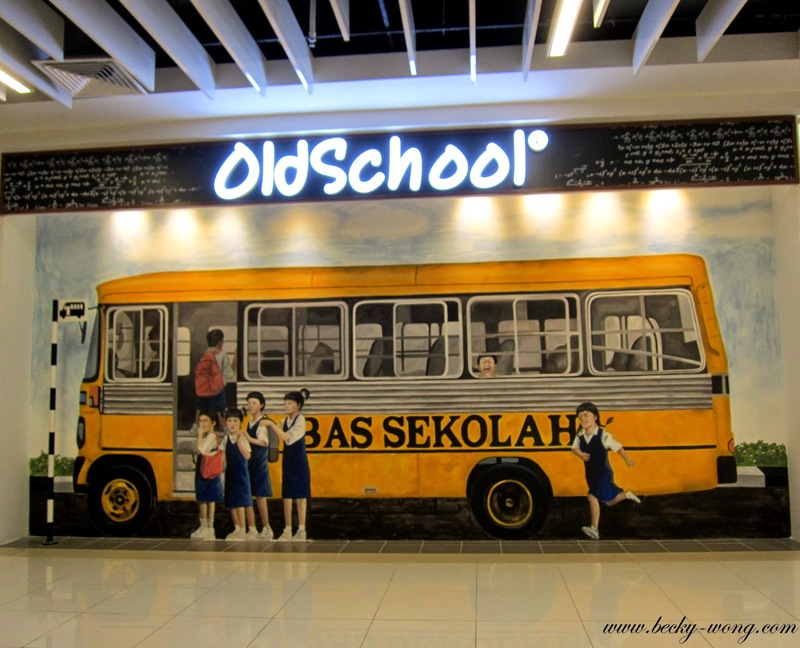 In keeping their "old school" concept, their waitresses are dressed in school uniform - though not the usual Malaysia school uniform. Very nostalgic notebook! That's their menu, and all the dishes in the menu were handwritten. Joe had the Honey Pork with Rice, and the pork was surprisingly tender and nicely glazed with honey. If my memory serves me right, it was priced at RM 14.90. 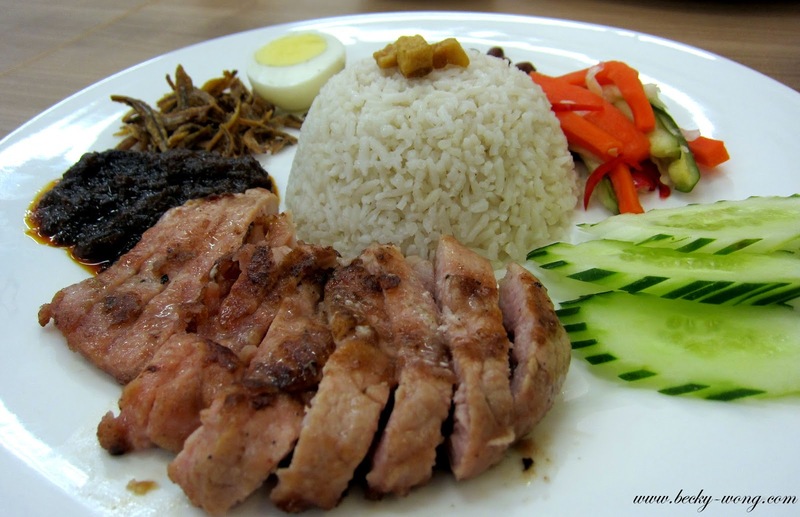 The Nasi Lemak with Grilled Pork Chop (RM 15.90) was not too bad. The coconut rice was fragrant and the marinated pork chop was tender. My only wish was the coffee would be less sweet! The total bill from my first visit came to about RM 41, including my hot coffee and Joe's cold coffee. I actually went back the next day with my friends, and this time I tried something different. Instead of pork dishes, I decided to try out their fried rice! 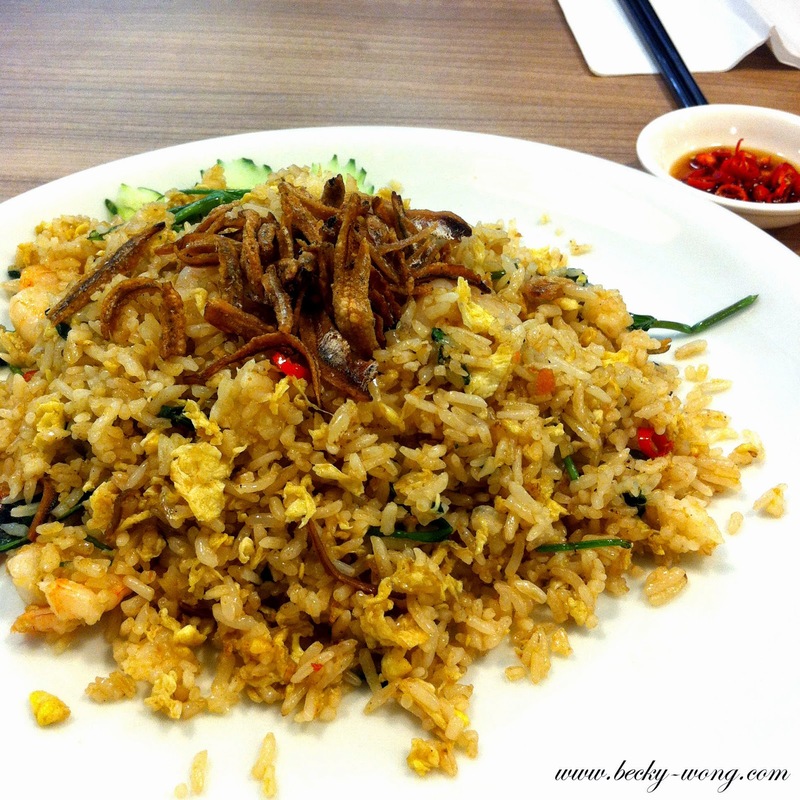 I was shocked when they served my Spicy Fried Rice (RM 10.90) - the portion was too big, at least for me. So, if you are a small eater like me, you may want to consider sharing the fried rice. I really liked this dish a lot - flavourful with a hint of heat from the chili padi, and the prawns were perfectly cooked. Overall, the food was quite good, and the waitresses were very friendly. On down side, I think the pricing is a little on the high side; especially when they do not serve any set meal at the moment. I'm not too sure if they'll be serving any set meal, but I sure hope they do! They have 2 branches - Puchong and Jaya One. I love the concept! The interiors are cool! Very consistent with their business name. The food looks delicious too! High 5 to pork!! HAHAHAHA!! The place looks nice with very different idea. Yes, it's quite a nice place. Seems very child friendly! Sounds fun and the food looks great! They do have those baby's chairs around, so it's a child friendly place. I love the idea! The ambiance is beautiful and unique. I could have one of those Hot White Coffee. Hope they'll be able to maintain the quality in the long run. wow! very clean looking and modern. I suppose the food taste good because you went back the following day! The food was quite good, but I only wish they offer set lunch during working day. Hahaha! the place looks pretty nice if it's considered an eatery rather than a cafe, which i reckon so, for the food is pretty 'eatery-ish'. looks pretty good though! 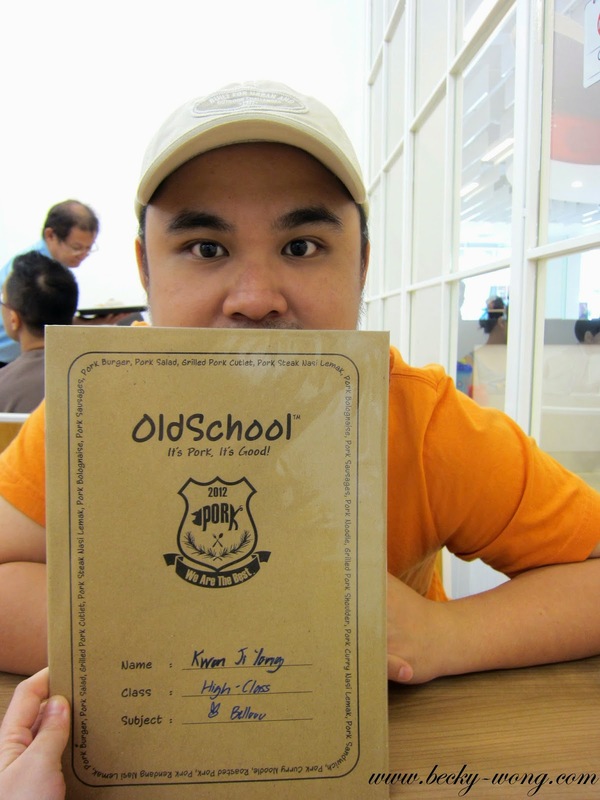 The food was quite good, and hope they'll maintain the quality in the long run. They do sell some old school toys and snacks though. Lol! Awww.... so cute. I wanna go try it one of these days. 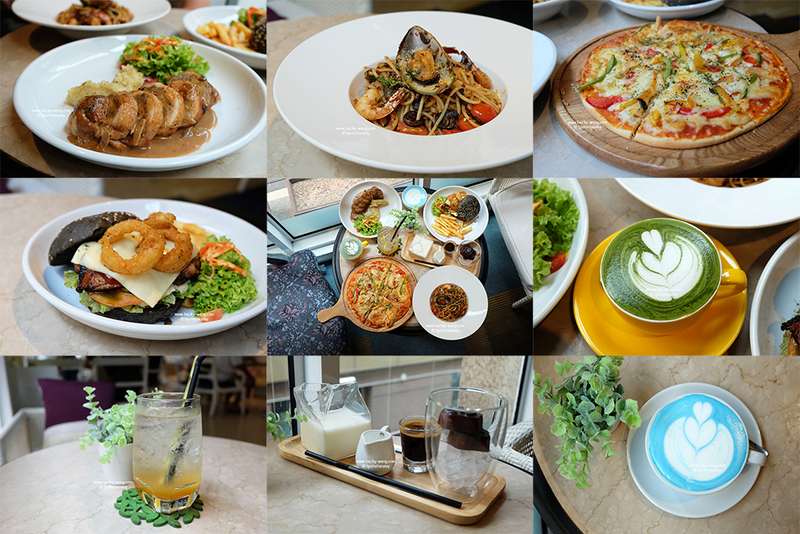 the place is so comfort and nice..
Food was quite nice but hope they'll maintain the quality in the long run. Fried rice sounds good, especially because it is spicy. Mmmmm! That spicy fried rice looked so good! Your review definitely makes new want to try it out! Can I say that coconut rice is like my favourite rice ever! The pork looks so good. That's a lovely concept. Cute. 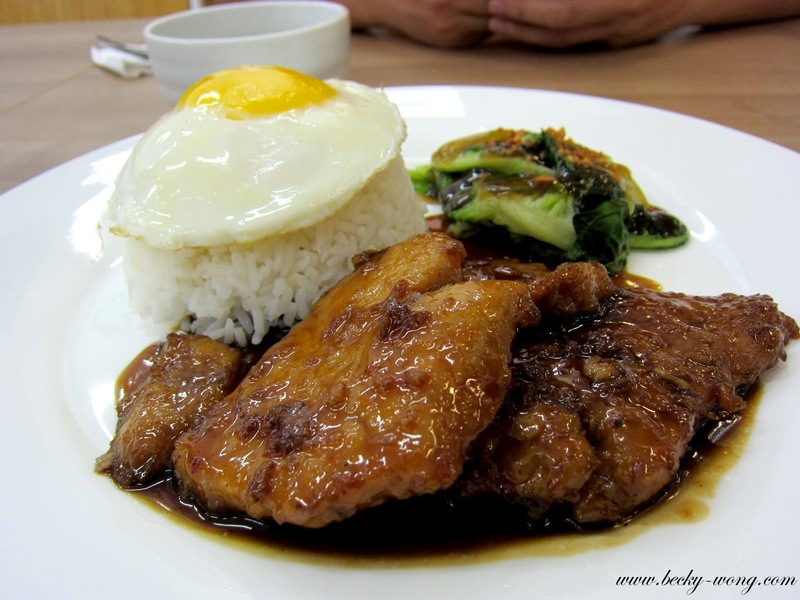 The honey pork rice looks really yummy!